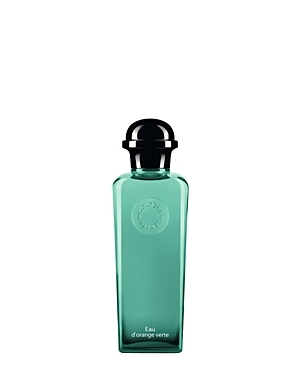 The founding cologne created by Françoise Caron in 1979 and inspired by the smell of undergrowth moist with morning dew, this fragrance has asserted itself as an emblem of Hermès, and stands out for its distinctive freshness. 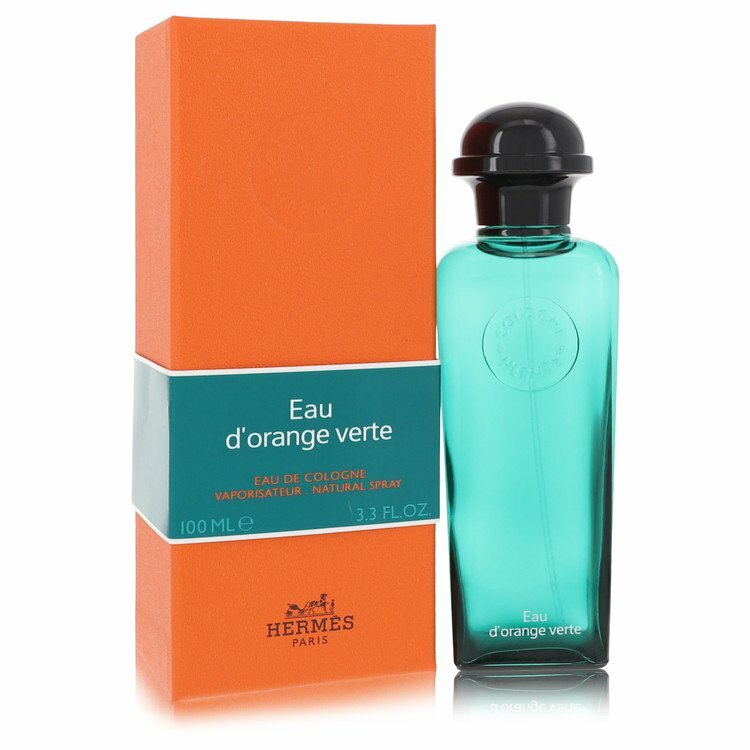 There are 112 reviews of Eau d'Orange Verte. Rarely has there been in my such a summery, fresh and uplifting citrus blast experience as the opening of Eau d'Orange Verte. Orange and lemon galore, with whiffs of mint at times. A very realistic bitter orange indeed. The drydown is fruitier in nature, with unripe mango vying with hints of papaya and touches of starfruit for one's attention. a fresh green is in the background throughout. The base displays a soft and bright patchouli note, a nonspecific woodsy tone and a perfunctory mossy impression towards the end. I get moderate sillage, good projection and a 'short'evity of two hours on my skin. A classic summer citrus Eau de Cologne, with the typically short longevity expected from such a citrus-based cologne. A bit simple at times, and the base is disappointingly bland for some stretches, but in spite of its the weaker base is it a great summer pick-me-up. 3.5/5. This smells beautiful - as often commented a holographic green orange tree smell, however on me this dries down to a skin scent and then vanishes altogether in less than 20 minutes. Eau de orange verte ,only orange nothing else ,but pretty. Mine, is a vintage bottle of eau de cologne. It is a marvelous aromatic. Crisp, bright, and luscious citruses. Fun notes of mint and basil. Lavender that is just enough that it doesn't kill me. Lovely, earthy oakmoss on the bottom. This is one of those that, the more I wear it, the more I enjoy it. I don't know why but this seems to offer me only a few minutes of scent: some hesperedic notes, a hint of blackcurrent leaves, a bit of oakmoss and then it's gone. Very fresh but that kind of evanescence makes this a poor value proposition. I get a lot of anise in the opening. Then it settles like an eau de cologne, but it's sweeter, spicier, with some mint. Fruity! But it quickly dries down to a sweat smell and then it disappears. 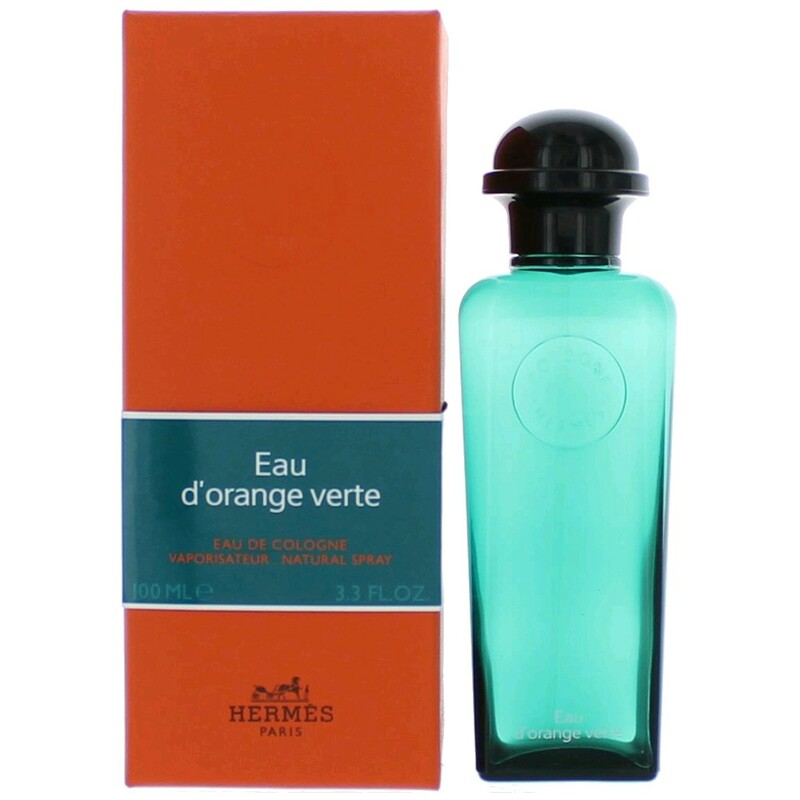 HERMES Eau d'orange verte Eau de Cologne Natural Spray, 1.6 oz.